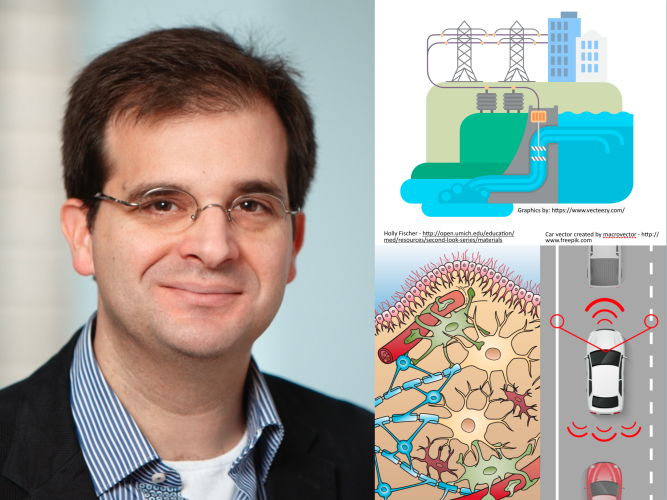 What do self-driving cars, power grids and homeostasis in biology have in common? Seemingly not much. If we look 'under the hood', however, we discover that they all rely on a common principle that renders their operation robust and reliable. This principle, known as feedback, is intuitive: see where you are, compare to where you want to be, and move in the direction that reduces the difference between the two. Though the feedback principle itself is simple to explain, understanding its implications, uses and limitations is far from it and forms the topic of a branch of engineering known as automatic control. The lecture will outline the main ideas of feedback, automation and control motivated by examples of their use in biology, transportation, energy systems and beyond.